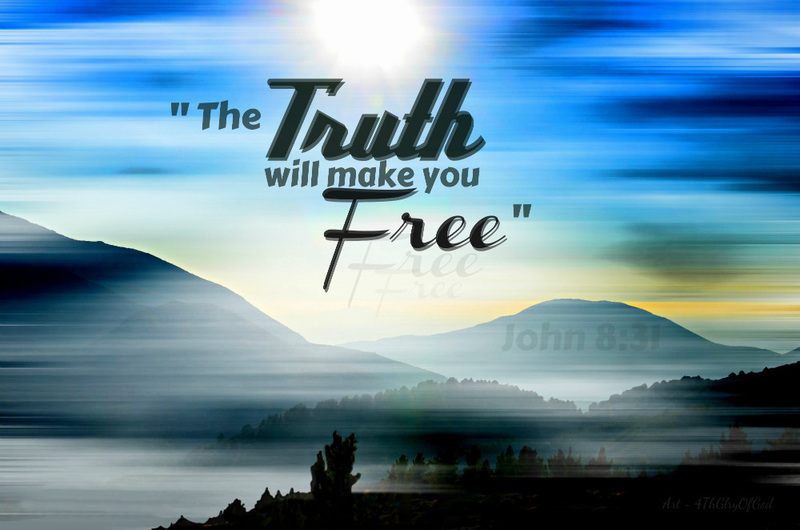 Walking with Jesus: Day 94: Mark 14:51-72 & Psalm 95 - What Will Happen If We Tell the Truth? Day 94: Mark 14:51-72 & Psalm 95 - What Will Happen If We Tell the Truth? What Will Happen If We Tell the Truth? Again the high priest asked him, “Are you the Christ, the Son of the Blessed?” And Jesus said, “I am, and you will see the Son of Man seated at the right hand of Power, and coming with the clouds of heaven.” And the high priest tore his garments and said, “What further witnesses do we need? You have heard his blasphemy. What is your decision?” And they all condemned him as deserving death. We can often be tempted to take verses out of context and to read our own desires into God's promises. 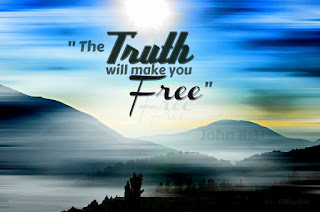 One such verse that can be mis-used is John 8:32: "and you will know the truth, and the truth will set you free.” We can misunderstand this as a promise for a trouble-free life for those who will know and speak the truth. But as with most things in God's word, we often need our view of freedom re-defined. In today's Gospel passage in Mark, we see lots of people lying and only One who speaks the truth. The Jewish Council brought in false witness after false witness. Each one lied or distorted the truth to serve a wicked agenda, but in God's providence, their testimony could not agree. Their voices were in conflict with each other, as well as with the truth. Outside of the house where Jesus was on trial, Peter was lying repeatedly, denying his Lord. He denied three times that he even knew the Lord Jesus. This was the same Peter who, mere hours earlier, had vowed to follow Jesus to the death. Now he even invoked curses on himself and swore that he did not know Christ. One man alone in this passage speaks the truth, and what does He receive? Freedom? Not as we would define it. When asked a direct question, Jesus gives the honest answer, speaking the truth faithfully. For the truth, Jesus receives condemnation to death. The lies could not condemn Him, but the truth did. Worse still, the lying people all seem to escape harm here. The lying witnesses are not condemned and the denying disciple walks away unharmed. Or does He? If we really understand what is happening here, we will understand why Peter broke down and wept. We will understand why the condemned Man is the only truly free Man in the whole scene. Only in fulfilling the will of God do we find true freedom. Only in aligning our wills with His will do we live out our true purpose and find our real calling. That's why we must allow God to define freedom for us, and why we must believe that only the Truth found in Jesus Himself can set us free. Lord, You graciously call us to come into Your presence with thanksgiving and joy. You graciously call us to give You the worship You are do as the great King above all gods. You are certainly the only One who is worthy of our worship. You are our God, our Creator, our King, our Shepherd. We are Your people, Your sheep, Your subjects, Your own loved ones. Everything belongs to You, and our hearts are Yours to claim as Your own. O Lord, how easily, how readily we harden our hearts. How quickly we give our worship to lesser things. How foolishly we exalt ourselves, making much of our own kingdoms and little of Yours. Forgive us, Have mercy on us, Soften our hearts by Your grace, that we might worship You as You are due! In Jesus' name, Amen!